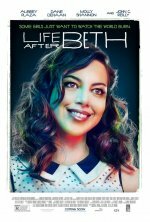 Life After Beth Movie Some girls just want to watch the world burn. Life After Beth release date was Friday, August 15, 2014. The film premieres exclusively on DirecTV on July 17th, and will open theatrically August 15th (limited).